The Convention always gets me charged up! I love seeing everyone again. I can’t wait to meet the new delegates and find out their passions. I enjoy the deliberations and the discussions dealing with the really tough issues that make us squirm because there are no easy answers. The way everyone gets up early in the morning and stays up late at night. And of course that tired feeling when it’s over and we finally get to go home. We, who have had the honor of being a delegate to our state conventions, know how rewarding it all can be. We know that we will learn something new before it is over. We also know that we will not always get what we want but we come anyway. We know that we will see old friends and make new ones and we will have to work on some hard issues. So what makes us do all this? I think it is for the love of the Grange. As I reflect back in my Grange life, I have had many mentors in the Grange. They gave me opportunities to hone my skills. They made me speak in front of the group. They made me take a leadership role in committees so as to help me develop leadership skills. They watched over me and when I made a mistake they pointed it out (respectfully) and helped me figure out a way to overcome the mistake and not make it again. They would even travel with me to other Granges so they could watch and teach me how to help the Granges. My love of the Grange comes from them. They showed me the importance of the Grange to them and that I should love it to. I will bet that you know exactly what I’m talking about and you are now thinking of your mentors in the Grange? And how they touched your life by showing you their love for the Grange? Now for the really tough question. Who are you mentoring? Who is watching you and wants to have your passion for the Grange? Who do you want to see succeed in the Grange? They are out there and we all need to be watching how we are acting and how that shows our love for the Grange to them. 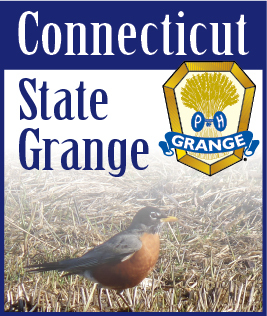 Our state Conventions are a great time for us to show in a positive way our love for the Grange. We need to speak positively to those that ask how the Grange is going. We need to look for those that will be our next Officers and start helping them now to grow and mature in the Grange and its ways. As you read this and are preparing for your next Convention, let me just ask each of you to consider how your love for the Grange comes out in both words and actions. Is your love one that folks will want to emulate or one that they will run from? You know that you love the Grange, now let’s pass it on and watch it continue to grow.